Carpet Repair or Replacement? Which is the Better Option? According to the studies, only a few people go for carpet replacement because their carpets are beyond repair. Since your carpet is a huge investment, it can cost you more if you replace your carpet just for patches or wrinkles. Hence, you can choose carpet repair/damage service to save both money and time on a replacement. How To Decide When To Repair The Carpet? If you observe below-mentioned carpet issues, then you will understand when is the time to call the professionals for quality carpet repair/damage service. Whenever you examine above-mentioned damage signs, realize that it is the time to call an expert for repairing your damage carpet. 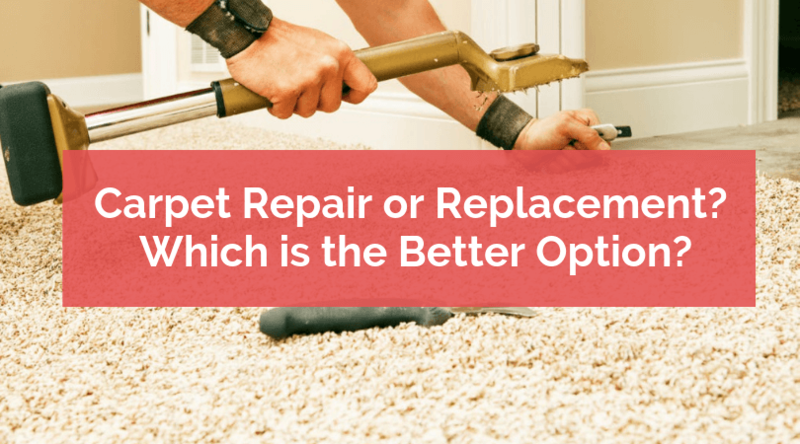 Still, if you are not satisfied and confused about choosing between carpet repair and replacement, then keeping reading. Have you ever gone through a situation when one of your family members has accidentally dropped the flat iron on the floor when it was on? If yes, then it must have left a burn mark or stains on your carpet. You cannot remove these type of stains on your own. Here, hiring a carpet repair/damage companies is the best decision. They can easily help you remove small portions of carpet and patch it with another piece of similar carpet. This will provide you a new carpet like it was before the time of purchase. Hence, we can say the size of the damage caused to your carpet plays a major role when deciding between carpet repair vs replacement. If you have decided to go for a carpet repair than replacement, then call the professional to assess the damage. We, at Xtraordinary Carpet Care, help you restore your damage carpet back to its original form. We provide you an honest opinion about the necessity of carpet replacement. If you are looking for a carpet repair company in Temecula, then contact us at 951-302-1033. Our team of technicians will be happy to help you with all your repair or cleaning queries and provide you the honest suggestions about your damage carpet.